What is an amber fragrance oil? 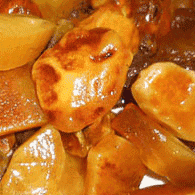 An amber style fragrance oil is a perfume oil with maple, brown sugar, syrup, incense and amber notes. While true amber is obtained from tree sap, it does not smell like the sweet perfume oils that you may have experienced. Jane blends other plant oils together to mimic amber notes. A consciousness-altering blend of smoky sandalwood, Himalayan incen..
A consciousness-altering blend of smoky sandalwood, Himalayan incense cedar, deep forest lichen and smooth transcendent musk. One sniff and you'll agree, there's no place like Om. Equally suited to men and women.Click here to check out celebrities that selected our Om. To see it in magazines click here.Jane's inspiration: Om...the single syllable that many believe was the sound of the creation of the Universe! How awesome is that?! Its sound vibration is reputed to calm the mind and initiate deep peace. The senses of hearing and smell are believed by many sciences to be the direct pathways to the brain. So breathe in Om and awaken your senses to a feeling of inner strength and tranquil bliss. The ingredients of Om are reputed to support the crown and base chakra - so if you are purchasing a fragrance oil roll-on, we recommend amethyst or red garnet. These stones magnify the energy of the plant oils contained in the formula. Ameythst influences connection, b..
deLavande begins with a hint of powdery clean soap. It is subtly gre..
deLavande begins with a hint of powdery clean soap. It is subtly green with a gentle complement of smoke, spice and vanilla almond wood. Of course, it's heart is an herbaceous trio of lavender from France, Bulgaria and...you guessed it...Carmel Valley California. It is equally suited to men and women.Click here to check out celebrities that selected deLavande. To see deLavande in magazines click here.Jane's inspiration: Have you visited the various wine regions around the world with vines as far as the eye can see? That's how it is, but with lavender in Provence France. Jane fell in love with the warm summer evenings and lavender scented air. The clanking of a bell around the neck of grazing sheep off in the distance. Amidst the buzzing of bees - drunk upon the lavender flowers are myriad hues of purple reaching out to the horizon. The ingredients of deLavande are known to support the throat chakra. 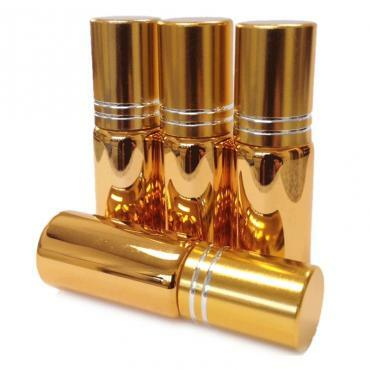 If you are considering our perfume oil roll-on, we suggest ..
Lago is a mild herbaceous, amber musk unisex fragrance. It's top not..
Lago is a mild herbaceous, amber musk unisex fragrance. It's top note is lavender smoke with a very subtle hint of leather and an undertone of ambergris and moss. It is equally suited to men and women.Click here to check out celebrities that selected Lago. To see Lago in magazines click here.Jane's inspiration: Jane first made a variation of Lago for one of our private clients. Many that come to Carmel are big Clint Eastwood fans as he was once the Mayor of Carmel. This client named the fragrance for the town made famous in High Plains Drifter. If Lago beckons you, it's time to take a deep breath, go for a hike in nature or maybe paint the town red.The ingredients of Lago are known to support the base chakra. So if you are purchasing the fragrance oil roll-on, we suggest red garnet. Garnet has the same vibrational energy as the plant oils in the formula. It amplifies and attracts peace, calm and security.Contains: Our proprietary fragrance composition of 10..
A triple blast of vanilla - but not the sweet, cloying synthetic vanilla so common in mos fragrances today. Jane's rendition has a touch of spice, warmed earth, smoke and toast. Think warm angel's food cake fresh from the oven. The scent is equally suited to women and men.Jane's inspiration: Many farmers and companies send vanilla to Ajne claiming they are natural. But there's no fooling Jane's nose. Jane tested over thirty submissions before deciding on those from some fav organic farmers from Madagascar, Tahiti and Mexico. The Tahiti and Madagascar orchids must be pollinated by hand. We distill the beans to obtain the aroma. Jane then works her magic to add the perfect notes to complete the scent. The ingredients of Vanille are reputed to support the base chakra. If you are purchasing the fragrance oil roll-on, we recommend the red garnet as its energy enhances the energies of the plant oils and helps produce a sense of calm, security and peac..
Calme is a deep and grounding fragrance with soothing notes of amber..
Calme is a deep and grounding fragrance with soothing notes of amber and musk. It has a smooth richness of West Indian ambrette seed with subtle warmth of Ethiopian frankincense and savory vanilla bean from Madagascar.Click here to check out celebrities that selected Calme. To see Calme in magazines click here.Jane's inspiration: As a long-time lover of amber and musk aromas, Jane created Calm as a personal blend. It reminded her of the unisex scents she and her brother wore. Jane often mentions how many clients talk about these types of scent memories and love Calm for the same reason. The ingredients of Calme are reputed to support the base chakra. If you are thinking of a fragrance oil roll-on, may we suggest red garnet. Garnet vibrates with the very same energy resonance as the plant oils in the formula. Together they enhance feelings of security, stability and calm.Contains: Our proprietary fragrance composition of 100% natural essential oils and absolu..